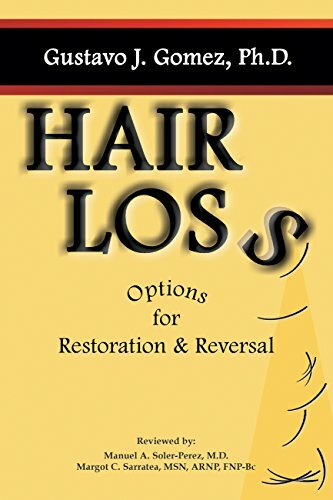 Hair Loss: Options for Restoration & Reversal educates readers on the variety and effectiveness of hair-loss treatments. Why was this an important book for you to write? Hair loss is a pervasive problem affecting both men and women, and it can have profound psychological effects on the afflicted, especially women. Hair loss is currently experienced by more than 80 million people worldwide, which encompass 50 million men and 30 million women. It is a problem in need of a solution. I became interested in the causes of hair-loss related issues twenty-five years ago, when I began to experience some hair thinning. In search for a possible solution to ameliorate or reverse my thinning hair, I began an empirical journey of discovery that continues to this date. I’ve experimented with a multitude of balding prevention recommendations; some were effective, and others were a complete waste of time and financial resources. My objective for writing this book is to educate the consuming public about the effectiveness of the many available hair-loss treatments and restoration modalities available in a very deceiving industry. It was important to write this book because I believe that anyone experiencing hair loss will save a considerable amount of time and money by reading this comprehensive and detailed guide about hair loss. 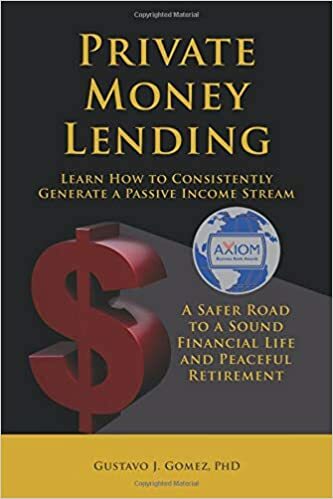 This book will educate the consumer on what works and what doesn’t, and this along makes this writing project important. It provides the reader with a historical perspective regarding hair-loss, as well as its causes, treatments, and promising future trends. In fact, we are living in a very exciting and promising time for hair-loss research. What is a common misconception you find people have about hair-loss and restoration? A common misconception about hair loss is that it is caused by a genetic predisposition inherited from the mother’s side. Other myths are that sexually active men become bald sooner, which implies that a hormonal component is the catalyst, or that only older men go bald or that wearing hats and wigs makes you lose your hair. The fact of the matter is that currently, there is no conclusive evidence that explains all the causative factors that lead to male and female pattern hair loss or androgenetic alopecia. The cause is a multivariate problem that can encompass a hormonal component, a disease process, stress exposure, medications, hygiene, and even nutritional deficiencies. Therefore, education is the key to mitigate the risk of been duped by a deceiving industry. Moreover, education will place you in the right path to a worthwhile solution. What type of research did you undertake to write this book? I performed a comprehensive literature review of the field of hair loss research. I basically analyzed the majority of worthwhile research studies to bring forth only the information I believed to be crucial to understanding this topic. Additionally, I also interjected my own personal experiences with this topic since I’ve been afflicted by this condition also. However, through my personal education and initiatives, I have been successful in mitigating and ameliorating my hair loss significantly. I have begun to research the literature on the topic of Diabetics with emphasis on type 2 diabetes. I believe type 2 diabetes is a lifestyle disease process that is preventable and reversible. However, it is a very unforgiving disease if the discipline to adhere to a regimented eating plan is not meticulously maintained until a physiological reset (re-balanced) is achieved between the liver and the pancreas. My goal is to have this book ready by December of 2019 or possibly early 2020. The condition of hair loss is a topic of significant public interest, and understanding the pathophysiology and treatment of the different types of alopecia (hair loss) will surely have an impact on the men and women afflicted by this condition. Hair loss is a pervasive problem affecting both men and women, and it can have profound psychological effects on the afflicted. It is a problem in need of a solution. 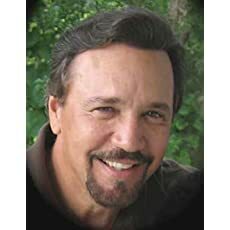 The author’s interest in the causes of hair-loss related issues surfaced twenty-five years ago when he began to experience some hair thinning. In a search for a possible solution to ameliorate his thinning hair, the author began an empirical journey of discovery. He experimented with a myriad of balding prevention recommendations, which led to the creation of Hair Loss: Options for Restoration and Reversal. The objective of this award-winning book is to educate the consuming public about the effectiveness of the many available hair-loss treatment and restoration modalities. It is an important, comprehensive, and valuable tool for both men and women who are afflicted with hair-loss problems. It provides the reader with a historical perspective regarding hair-loss, as well as its causes, treatments, and promising future trends.